Both businesses ElectroTest Electrical safety Services and K A fire Safety were established in 1996 to service the then newly growing industry of OH&S worksite compliance. Each business operated independently until 2003 when both owners saw an opportunity to merge and work together to deliver a more comprehensive and cost effective OH&S workplace compliance service to customers at a “one site visit”. Owners Norm and Geoff Waugh are both A Class electricians and qualified Fire Service Technicians, they are fully involved with the day to day running of the business. Norm and Geoff have built a strong reputation over the last 20 years for delivering a friendly, professional, reliable workplace OH&S compliance management service to private businesses, community organisations and government agencies throughout the Adelaide Metropolitan and country areas of South Australia. WHAT HAS MADE OUR BUSINESS SO SUCCESSFUL? Norm & Geoff communicate directly with customers either onsite, via phone or via email and address identified issues or questions immediately saving customers both time and money. Our business is not a large franchise organisation with layers of management for our customers to navigate. Geoff & Norm are available to undertake site visits and discuss in person the individual requirements of a worksite with the customer then tailor a specific OH&S compliance service to ensure regulations and Australian Standards will be met. Our service delivery is tailored to meet the exact needs of each customer’s worksite and combined into a single site visit were ever possible to deliver both electrical and fire OH&S compliance services this means less workplace disruption for our customers. Our company’s ability to undertake on the spot electrical repairs saves our customers both time and money, failed equipment is not out of order for lengthy periods of time while awaiting the services of an extra tradesman to be engaged. Our work vans carry new supplies of portable fire safety equipment for on the spot replacement of out of date equipment ensuring OH&S compliance continuity and peace of mind for our customers. Electrotest guarantees thorough and professional services because only a qualified electrician or fire safety technician is sent to a customer worksite to deliver our services. Our company holds current public liability, professional indemnity and Worksafe SA insurance cover. Our staff all hold current police checks. 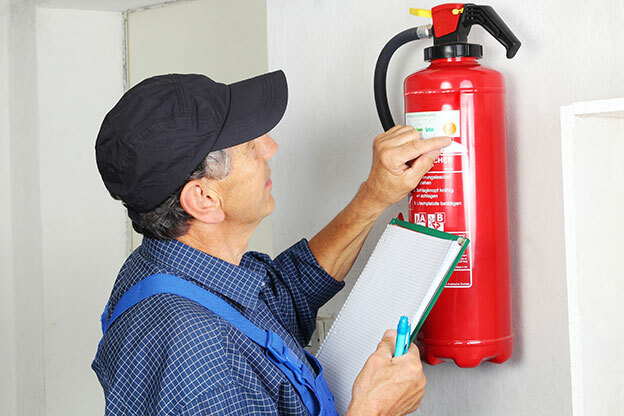 Electrotest Electrical Safety Services holds a comprehensive electrical contracting license and K A Fire Safety is a member of the Fire Protection Association. Our company has developed a unique set of policies and procedures for staff to adhere and this ensures a consistently high standard of service delivery to our customers. Our test equipment is up to date and calibrated annually to ensure accurate test results at all times. Our company maintains a service program diary which ensures services to customers are delivered regularly and on time so that our customers area t all time OH&S compliant. To meet OH&S Australian standards all test results must be recorded with the documents available at all times for viewing by insurance companies and OH&S auditors. Our company gives the customer a choice of how they receive this documentation which can be delivered by hard copy, soft copy or by customer portal login to this website.